What is Aging in Place and Universal Design? Making homes more accessible to people with physical challenges and those who wish to remain in their homes as they age is much more than a trend. For many, it’s a necessity, and aging-in-place contractors and universal design contractors are responding to the need. While the terms are sometimes used interchangeably, there are differences between aging-in-place and universal design. Knowing how they differ may help you in your search for a contractor with the skills to take on your home modification or home building project. As the term implies, aging in place modifications enable people to stay in their homes as long as possible as they grow older. Generally, aging-in-place contractors focus on making changes to an existing home to make it safer and more comfortable as its occupants’ physical abilities change. These changes may be the installation of grab bars in tubs and showers or replacing steps with ramps. As more than three-quarters of a million Americans are beginning to reach retirement age, the services of aging-in-place contractors is more in demand. 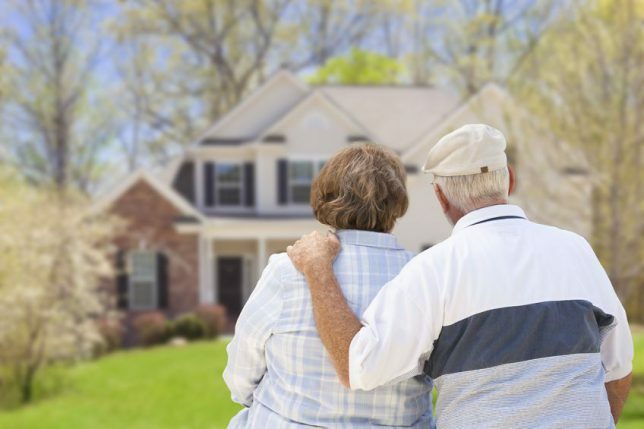 As a result, the National Association of Home Builders offers the Certified Aging in Place Specialist (CAPS) designation program, which instructs contractors in the business management, customer service and technical aspects of home modifications. There also are programs for interior designers and others to become certified as aging-in-place specialists. This term applies to people of all abilities and ages, from those buying a first home to families with multiple generations under one roof. Universal design usually refers to the design of brand-new homes that incorporate its principles, but it can also refer to changes made to existing homes that increase convenience and ease of use. For many practitioners, the goal is to have universal design features be as unnoticeable and as seamlessly incorporated as possible. In addition to aesthetics, universal design approaches usually include consideration for future adaptability. An example would be constructing walls so that grab bars can be added with little effort at some later time, but not before they are needed. Wide hallways and doorways to easily accommodate wheelchairs, strollers or other mobility devices. Pocket doors to reduce the amount of space that hinged doors require. Bathrooms on main floors with plenty of space in which to move around. Fixtures, such as kitchen or bathroom sinks, with space underneath and at the proper level to allow wheelchair users to access them more easily. “Zero step” entrances to at least one door from the outside. Wall-hung toilets that can be placed higher or lower as necessary. Larger showers with oversized doors and no curbs or thresholds. Additional lighting to make navigation around the home safer. Accessible switches and controls, including electrical outlets, light switches and thermostats. Lever-style door handles and faucets. Retrofitting or building a new home? Find an aging-in-place or universal design contractor with Contractor Connection. We make it simple to find a top-quality contractor for your project or new home. Every contractor in our network has been thoroughly vetted to ensure he or she is qualified, licensed and insured. Plus, we have an industry-best three-year warranty on workmanship to ensure your satisfaction. For your free, no-obligation estimate from a qualified contractor, simply enter your ZIP code at the top of the page.